Every year I like to look back at my gaming habits. The theory is that even though its normal to look at the best games of the previous year (which I have done in both the Best Games of 2016 and our latest podcast episode) it’s also good to look back at the games I've been playing the most, the theory being that it keeps track of my gaming tastes and shows which games have truly shone through. In the past, my gaming has been dominated by games such as Star Wars X-wing, Star Wars Armada and Warmachine, but unfortunately in 2016 I did not play a single tabletop miniatures game. Not one! This is a little bit of a surprise even to me. Warmachine Mark 3 came out, I bought and even started painting the Infinity starter set, Operation Icestorm, and at the beginning of the year I had bolstered my X-wing squadrons with ships from The Force Awakens. So why didn't I play any miniatures games? The first reason is because my main miniatures game opponent moved away. Suddenly my regular X-wing and Warmachine games dried up. This also affected my desire to attend tournaments as I often went along with my miniature gaming friend and we would compare strategies and war stories throughout the day. 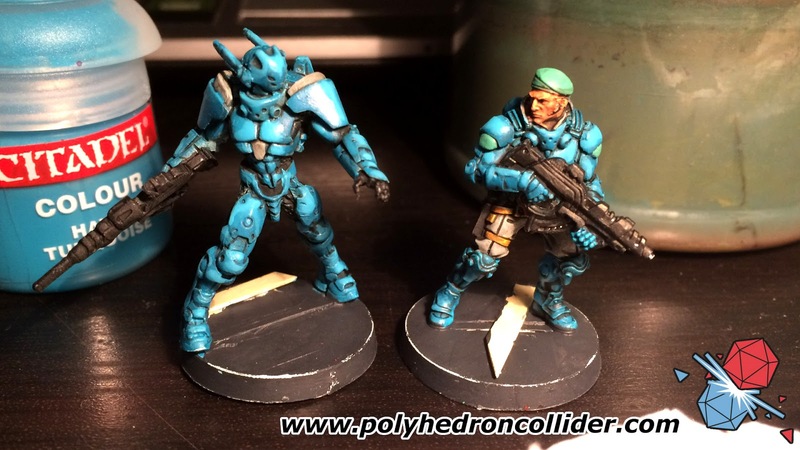 Secondly, I have been suffering with a bit of miniatures game fatigue. Trying to stay on top of all the miniatures games takes a lot of dedication. Trying to stay current in the X-wing meta, keeping my painting up do date and trying to learn new rules meant that I just didn't seem to get the desire bring my miniatures to the table. The truth is I don't play roleplaying games anywhere near as much as I would like and when I do try and start an RPG campaign the game loses momentum very quickly. In all I probably spent over twenty hours playing Dungeons and Dragons Fifth Edition this year which equates to about 3 dungeons, so all in all not a lot really. Our main problem with D&D with is finding the time when everyone can play. If someone misses out on a board game night it's no big deal but if just one person can't make an RPG session, and you are in the middle of a dragon infested dungeon then you've got to call it and try and come back another day. This problem is also exasperated by what I see as some complicated rules that players need to get their head around. We have a quite a few beginners in our group and we have had a problem with players not understanding the game. In my opinion it's a because all players need to do some form of preparation for playing D&D because it's such a rules heavy game. I could run a game of Call of Cthulhu or Star Wars: Edge of the Empire and feel confident that I could teach the rules as we play but Dungeons & Dragons, even with its many years of streamlining and improvements, requires players to understand their character's abilities, skills and most importantly spells. We have lost at least half an hour per session as every spell caster gets to the table and starts reading through their spell list. 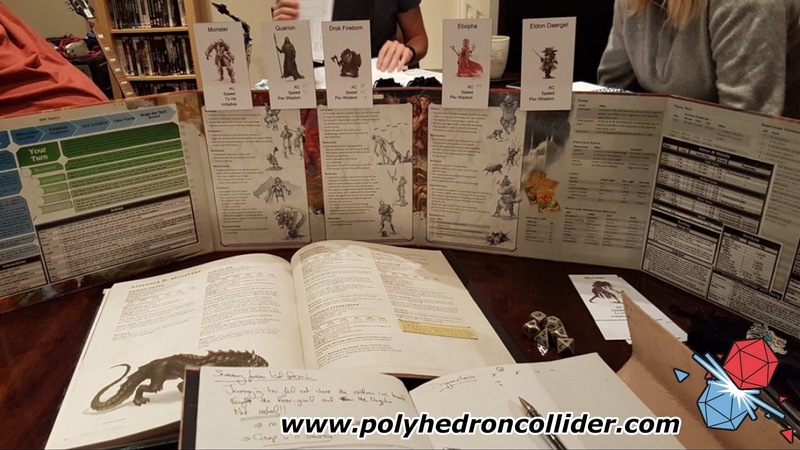 Having moved away from my regular gaming circles I am worried that any roleplaying games will disappear from my gaming habits over the coming months, but I am looking into online play spaces like roll20 to see if I can get my RPG fix by another means. My playing of card games was also significantly reduced this year. This is partly due to me getting a bit burnt out on tournaments. Although the experience of a tournament can be fun, to remain competitive in a card game you need to be attending tournaments regularly but I have recently found the experience tiring and stressful. Where I have been playing card games is online. After moving house I decide to re-install Hearthstone and although I am absolutely terrible at the game I have been having a lot of fun trying to build some interesting decks out of my limited card pool. Hearthstone is so close to a physical Collectible Card Game with the added bonus that you can purchase cards by completing challenges that it scratches the CCG itch in a very convenient way. I have however been playing a lot of Arkham Horror the Card Game, which is doubly impressive considering the are so very few adventures available for it at this time. (I am aware that Fantasy Flight Games have released a couple of print-on-demand expansions but due to then insane shipping cost and import duty I haven't bought these yet and so I am waiting impatiently for them to enter into UK distribution.) 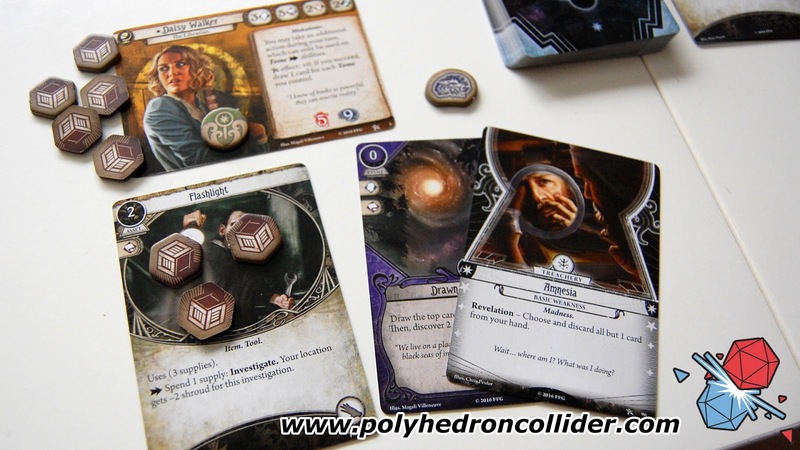 Arkham Horror encapsulates a narrative story in a card game and the combination of possible characters, and the flowing storyline make it a truly beauty game in my opinion. It's probably no surprise that as a writer of a blog that concentrates mainly on board games I played quite a few of them this year. 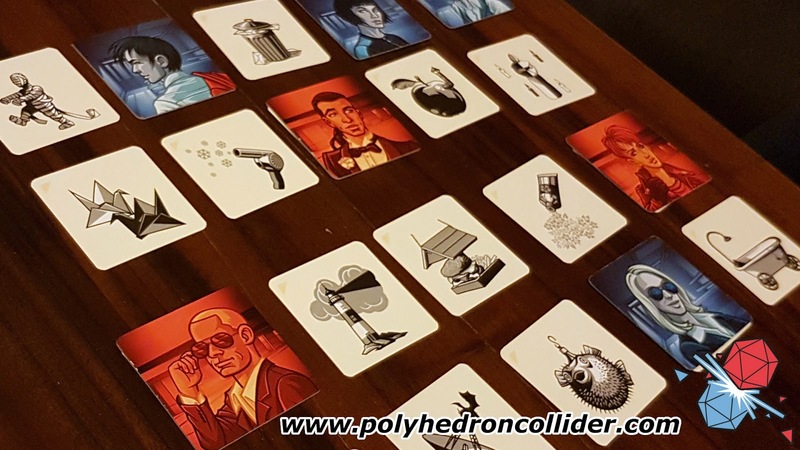 It was also no surprise to me that personal favourites such as Eldritch Horror, Codenames (both normal and pictures) and T.I.M.E Stories saw a lot of play time this year. I've been buying and playing T.I.M.E Stories expansions as soon as they have been released and if Space Cowboys had managed to keep on top of the proposed 4 expansions a year then I think T.I.M.E Stories would have been my most played game of the year. As it was only Prophecy of Dragons and Under the Mask were released in 2016 and my regular time travelling team gobbled these up as soon as humanly possible. What has been a surprise on this list is the inclusion of Eclipse. 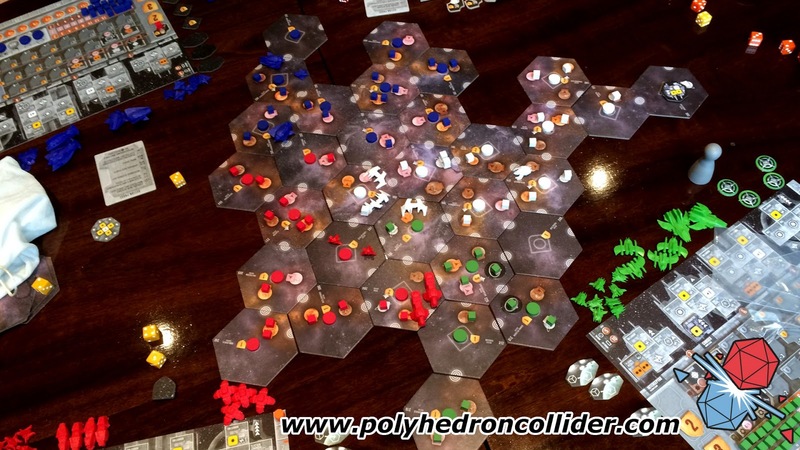 I had written Eclipse off as a boring looking euro long before I had played it, the hype had died down after its release and I wasn't seeing or hearing of many people playing it. But fellow Polyhedron Collider writer, and sci-fi nut job, Andy bought the game and was all over it like stink on a monkey. Not only did I play several games of the physical board game I also played many games of the iPad in a hope it would improve my skill at the game (it didn't). What I once thought of as a dry looking game is now on my list of truly great games and is the best example of a 4X game in board game form that I have played. This is an example of how my gaming tastes are changing. Games that I once thought dull I now find a lot more fun. My first play of Power Grid a few years back did not leave me with a lasting impression and I found the game a bit tedious. But a play of the game this year, again at Andy's insistence, showed me just how much of a tactical gem this game is. 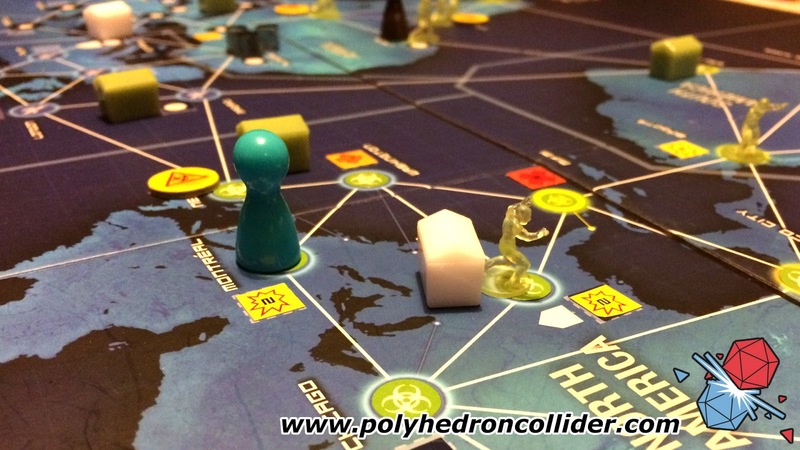 One game that truly deserves a mention on the list is Pandemic Legacy. We may have only reached July but so far we have loved every game we have played. I say loved, in reality we have been stressed to heart straining levels as we slowly watch the Americas burn and as a nasty virus threatens to spread over the entire globe. We are at the point where every mistake hurts us in every future game and the state of the world hangs by a thread. So you're probably wondering why we haven't managed to complete the full campaign. Well the main reason is that we need to play games for reviews and to talk about on the podcasts. So while we have tried to drop in a game of Pandemic Legacy as often as we can, review games and banter fodder have taken priority. 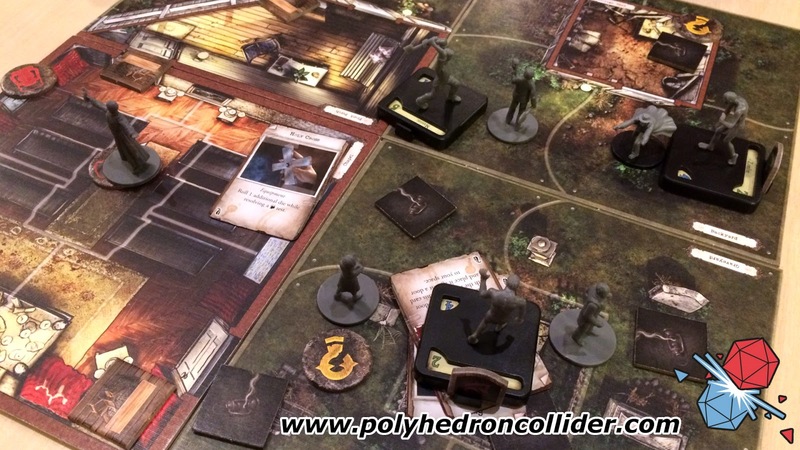 Near the top of the list this year is Mansion of Madness Second Edition. I often have a dilemma when buying expensive games and boy is the current version of Mansions of Madness expensive, with an RRP just shy of £100. My concern is always, will I get my money’s worth? Will I play the game enough to justify the expense? The first game I had this issue with was A Game of Thrones, and now it's one of the most played games in my collection. Well a similar experience occurred with Mansion of Madness, I actually played the game four times in one week! So what has made it such a big draw? Well it's the combination of T.I.M.E Stories like problems solving with a tactical miniatures game aesthetic. There may be limited number of scenarios available but each one can be replayed, as map elements vary from game to game. Also you want to beat that game and so you'll go back and give scenarios multiple attempts (we still haven't escaped from Innsmouth). But it’s the app driven game play that is able to vary this game behind the scenes that really makes Mansions of Madness something special, and with more scenarios and expansions on the way I see it continuing into 2017. But the most played game of 2016 for me was yet again Codenames. I’m not sure what else I can say about Codenames. It’s a game we regularly play at the end of the game session, while we’re winding away the last half hour of the evening and can add more players as needed. It’s the game that has caused the most the most laughter, the most banter and the friendliest insulting of a person’s intelligence than any other game I have played. The key for me is having at least 8 players, for some reason, 3 people trying to identify a clue always leads to discussion and disagreement and this is where Codenames really finds its place.